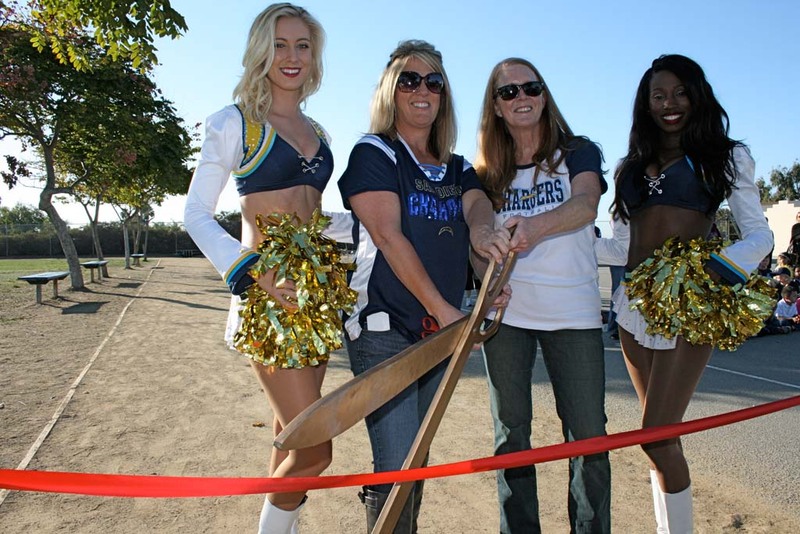 OCEANSIDE — Christa McAullife Elementary School’s $17,000 Chargers Champions running track was installed last spring, but Nov. 5 was the day Chargers cheerleaders visited campus for a ribbon cutting ceremony and cheered on student runners who took a ceremonial jog around the track. Fifth-grade student Gustavo Vasquez said it was his “best day ever,” when the Chargers girls autographed his cap. School Principal Betsy Wilcox and PTA President Melissia Brohamer applied for the Chargers Champions grant last school year. The goal was to have a usable campus running track for the school’s annual fun run. “The focus was to have a useable field,” Brohamer said. Prior to the field being laser graded, leveled and filled, the grass play yard had too many holes and uneven surfaces for students to run safely. For a decade nearby fields and parks were used for the annual fundraising run. Last February the school field was upgraded and a running track was installed around its perimeter. In April the school had its first ever on-campus mile fun run. The PTA fun run raised $5,000 that was used to pay for a school art teacher. “It takes so little and they’re so excited,” Brohamer said. The track and grass field are used daily for students’ physical education and recreation. 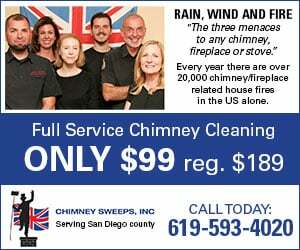 It’s also used after school and on weekends by families in the surrounding residential neighborhood. “There’s always people here,” Brohamer said. The Chargers Community Foundation has awarded Chargers Champions grants to schools in San Diego County since 2001 in an effort to encourage kids to be more active. “Anything we can do for kids to stay fit and active,” Alex Biller, Chargers communications relations assistant, said. The grant program was established to help support elementary, middle and high schools following cuts in state education funds. The foundation has awarded 95 grants, totaling more than $4 million, to fund new facilities and sports equipment. Palmquist Elementary School was awarded a $25,000 Chargers Champions grant for a running track this school year.